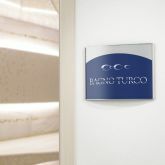 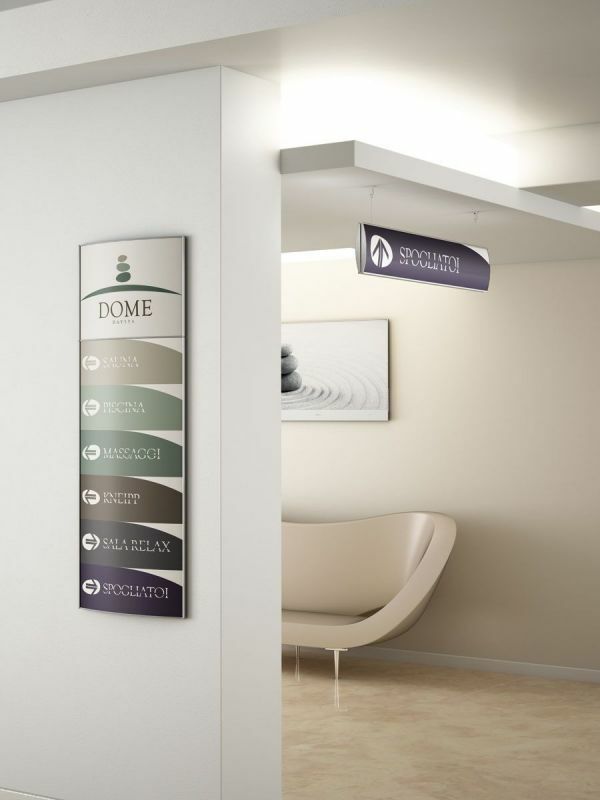 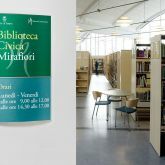 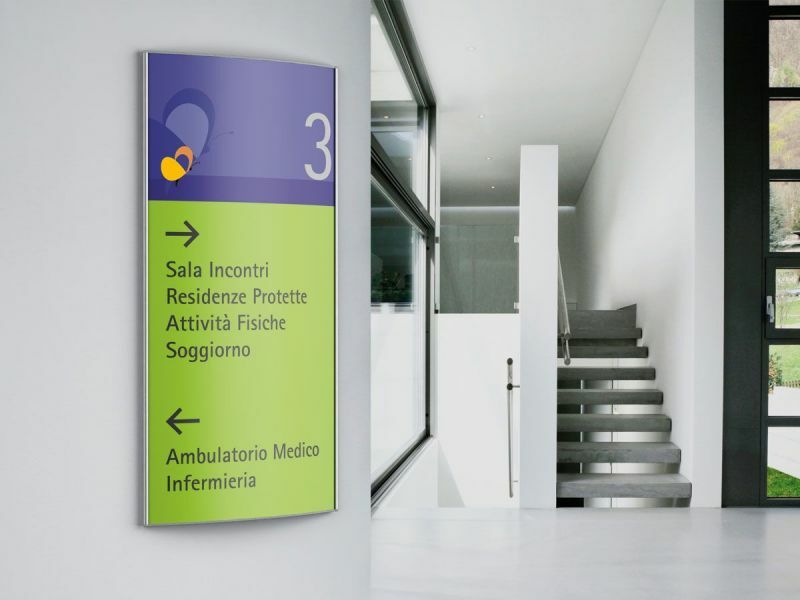 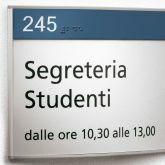 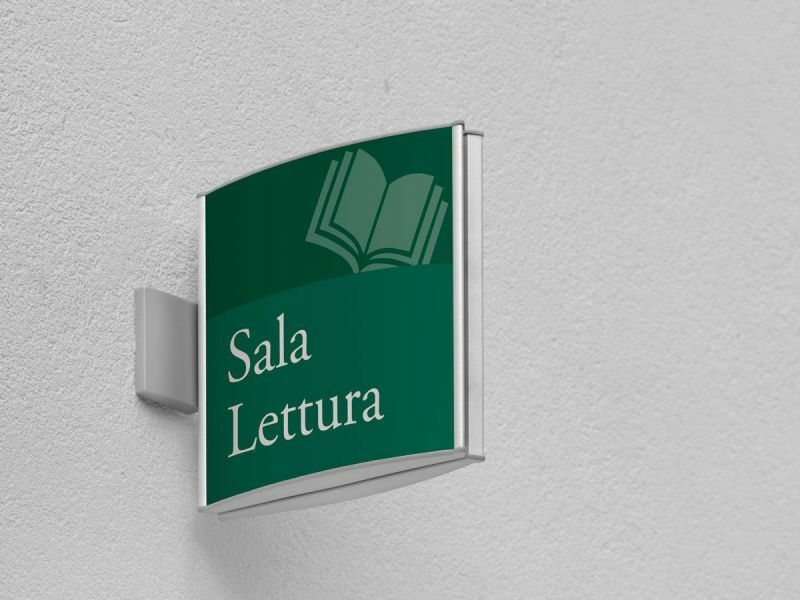 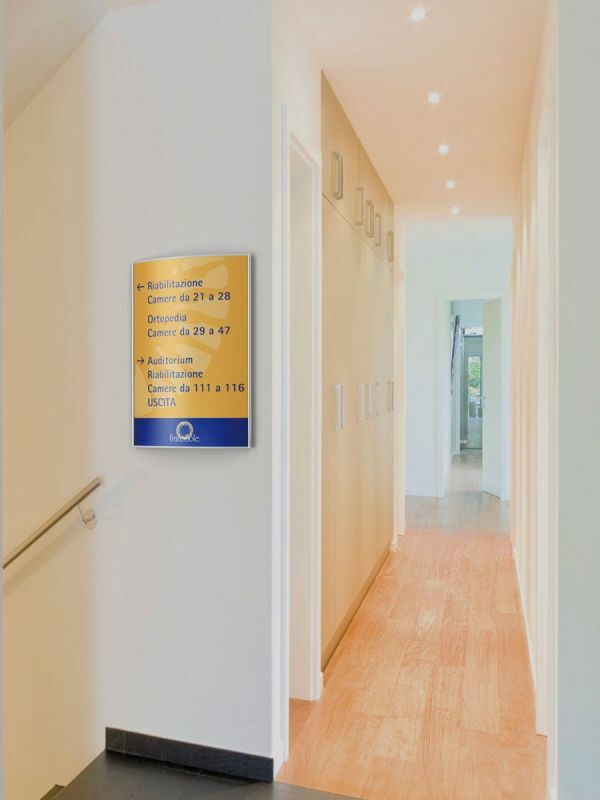 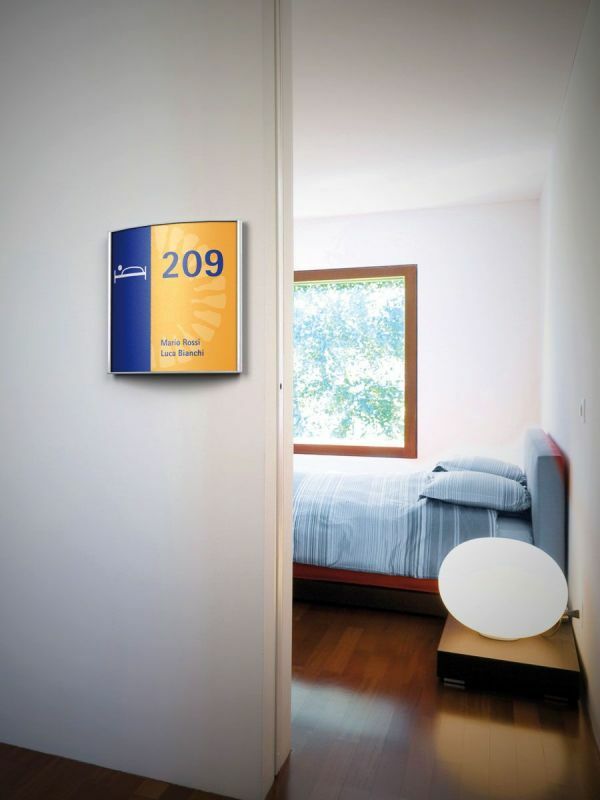 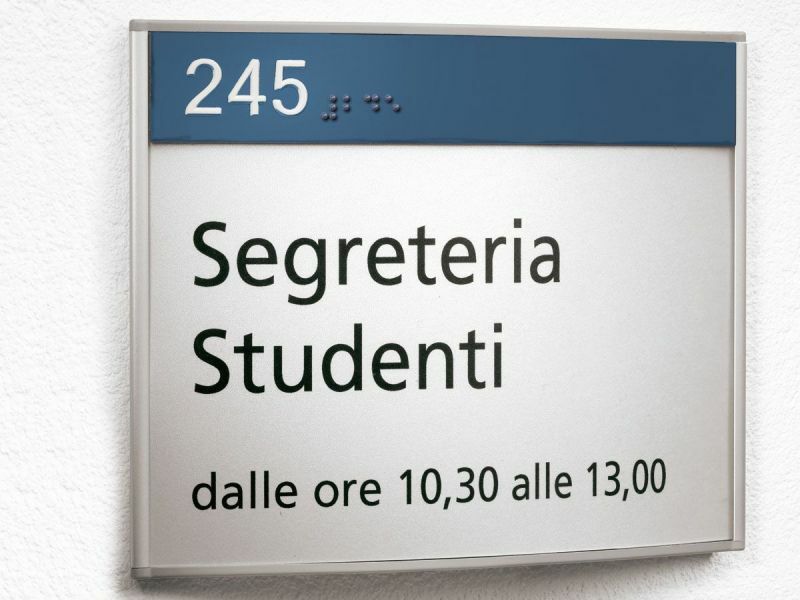 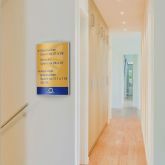 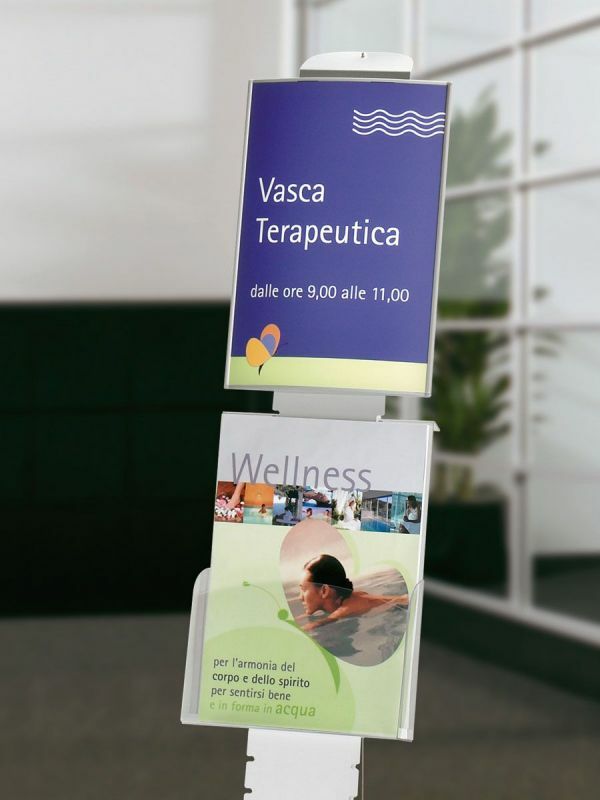 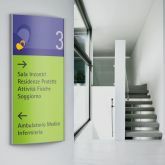 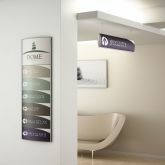 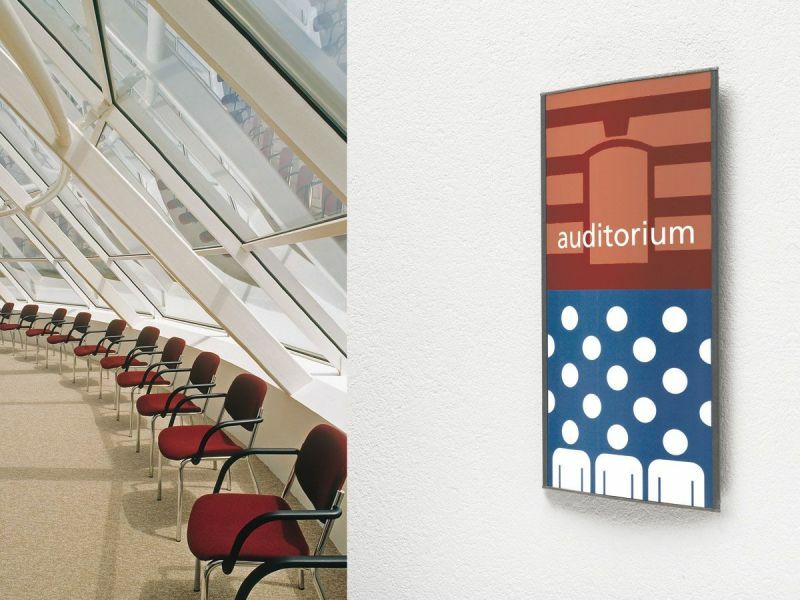 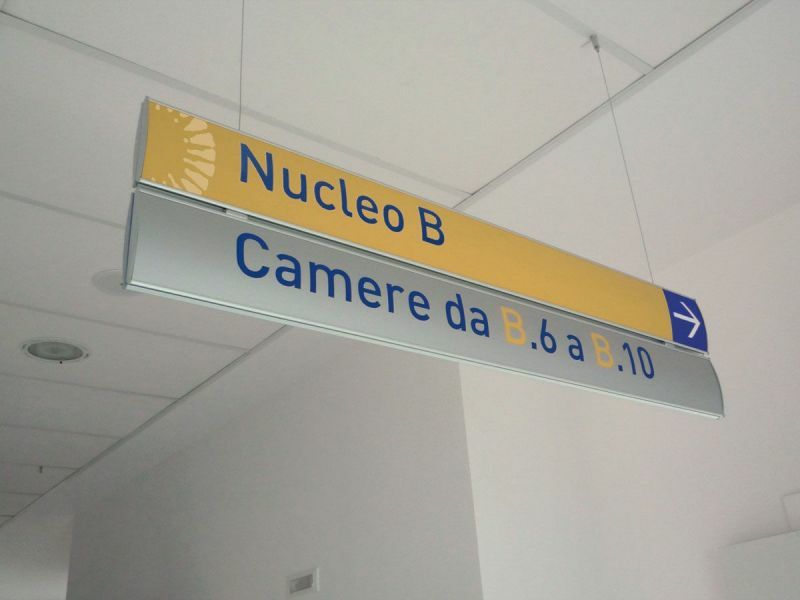 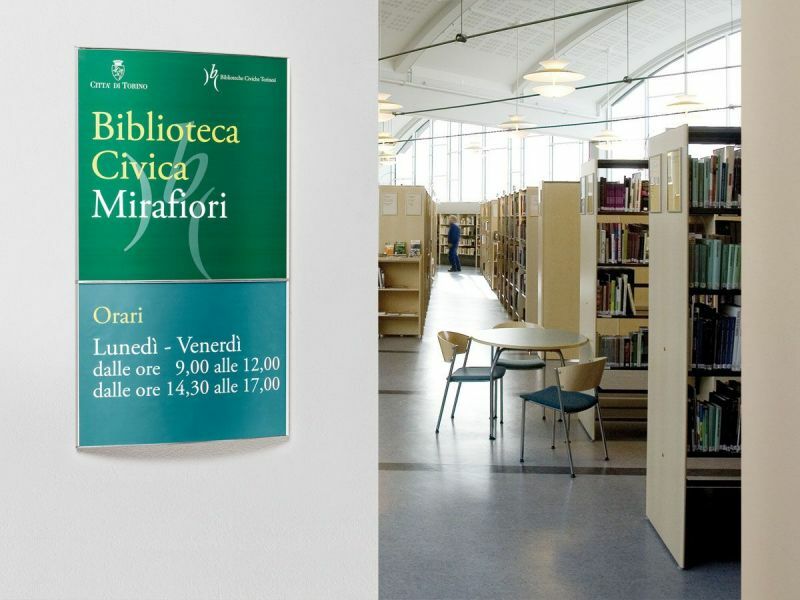 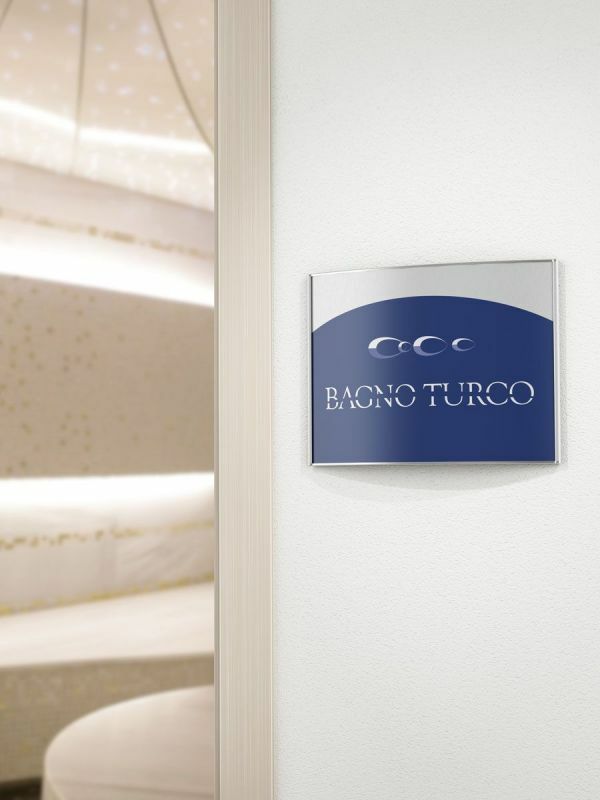 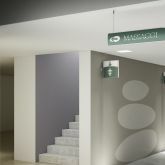 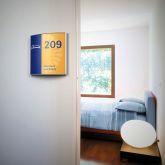 ARCO is a system of convex surface signs for both outdoor and indoor use. 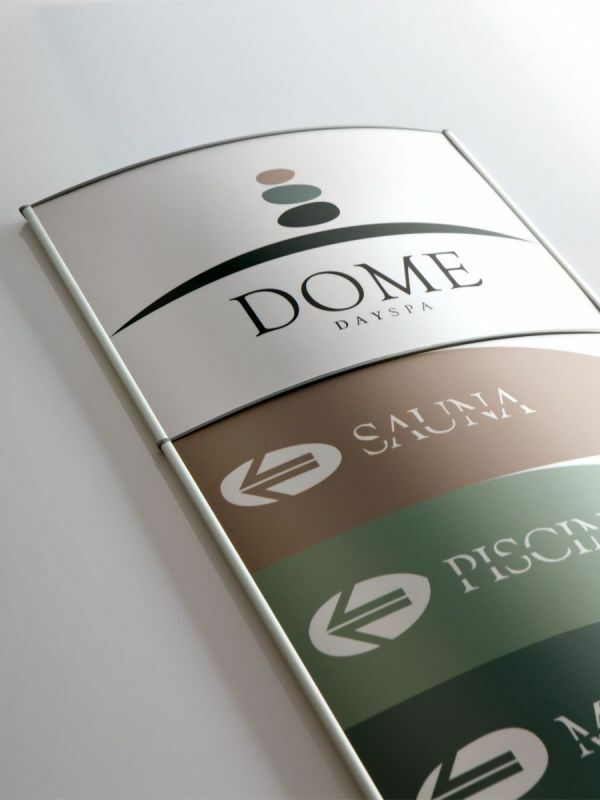 The types are made in extruded aluminium with the end clips in plastic. 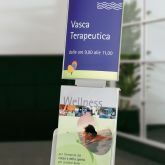 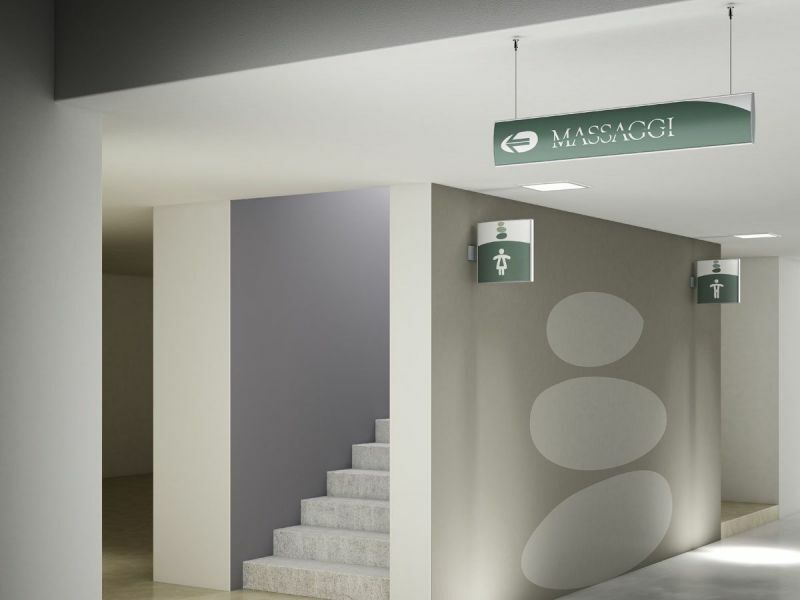 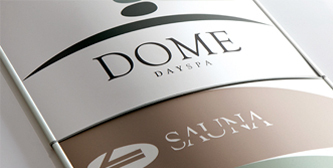 The graphics are realized in adhesive vinyl film with paper inserts that guarantee maximum flexibility and make them easy to update. 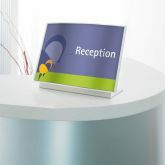 Module in extruded aluminium with convex surface, the information side in 0.5 mm thick aluminium sheet or with paper inserts with a 1 mm thick polycarbonate transparent cover. 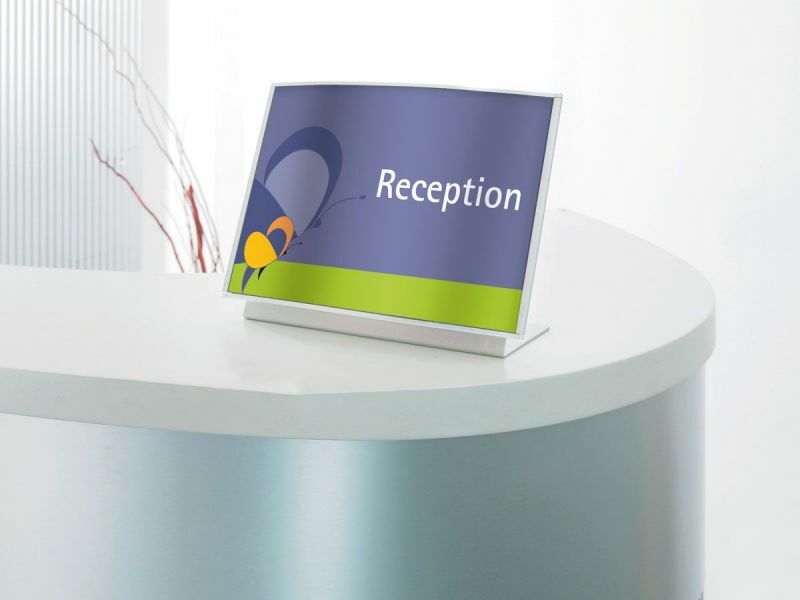 Closing end clips in UV resistant ABS. 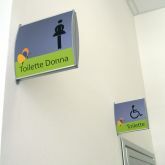 Installation with screws and non-visible expanding plugs. 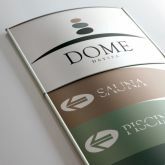 Coupled modules in extruded aluminium with convex surfaces, the information side in 0.5 mm thick aluminium sheet or with paper inserts with a 1 mm thick polycarbonate transparent cover. 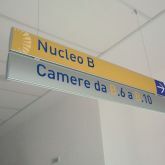 Installation with steel wire in variable lengths and automatic chrome clamp to be fixed to the ceiling. 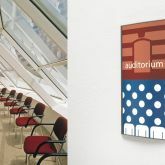 Coupled modules in extruded aluminium with convex surfaces, the information side in 0.5 mm thick aluminium sheet or with paper inserts with a 1 mm thick polycarbonate transparent cover and closing end clips in UV resistant ABS. 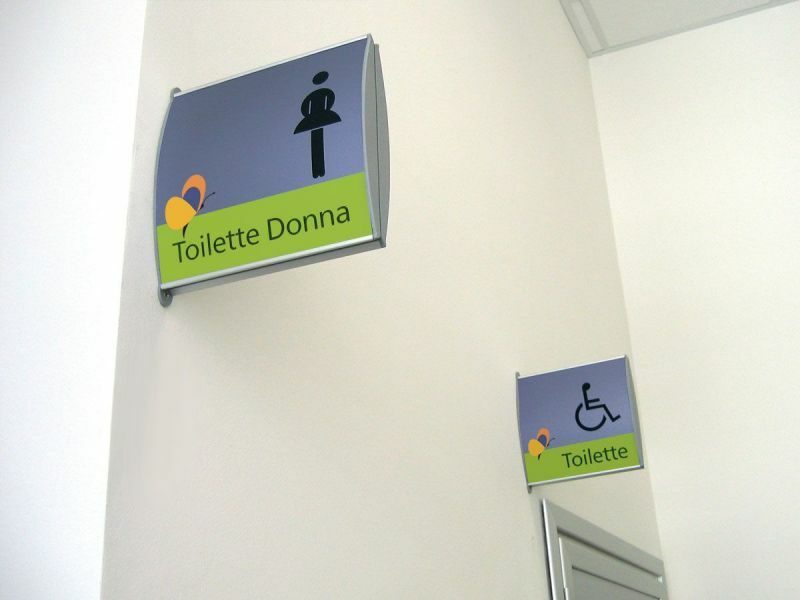 Installation with support to fix to the wall with screws and non-visible expanding plugs. 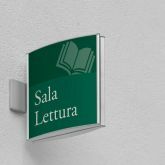 Module in extruded aluminium with convex surface, fixed on a tilting support made of painted steel, the information side in 0.5 mm thick aluminium sheet or with paper inserts with a 1 mm thick polycarbonate transparent cover.